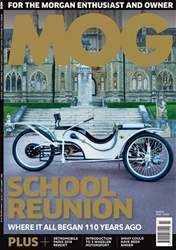 The March edition of MOG is out now. 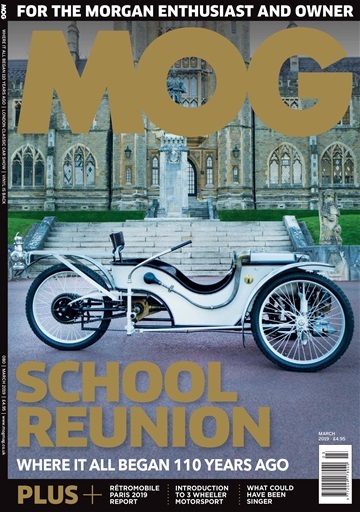 Featuring a MOG exclusive as we take Martyn Webb’s 1910 Runabout and a new 110 Anniversary 3 Wheeler to Malvern College, where HFS Morgan built and tested his first car. We report on Rétromobile Paris and the London Classic car show. We remember that Singer were once much more than a sewing machine manufacturer and also look at the finest hand built turntables enjoying the vinyl resurgence. We preview the new Three wheeler sporting season, where the latest 2 litre cars compete against cars of all ages. All this and so much more, including what our regular contributors have been up to in their Mogs.